Leader of the Democratic People´s Republic of Korea (1912-1994). Compliment card signed. No place. 104:141 mm. Bifolium. 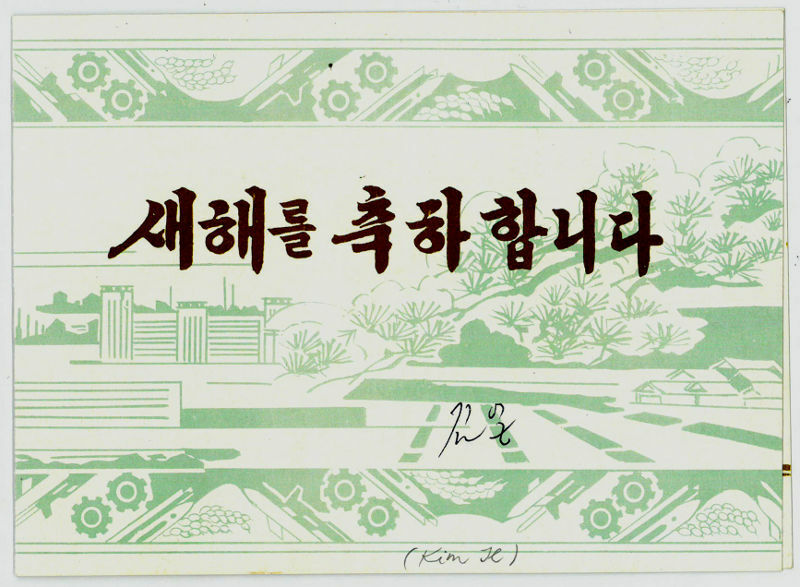 Rare signed official folded compliment card by Kim Il-Sung. 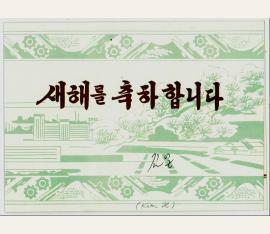 Signed in black ink to the front, beneath a greeting message ("Happy New Year") in golden embossed Korean characters. To the inside bearing a golden printed image and the year 1973.